When National Geographic Travel revealed the winners of its 2015 Travel Photo contest, we got wanderlust. We're not the only ones, either. “I was blown away by the creativity of the photographers," said Maggie Zackowitz, editor-in-chief of National Geographic Traveler magazine. “National Geographic Travel celebrates and illuminates destinations around the globe, and it was exciting to see that same theme captured in the contest entries." 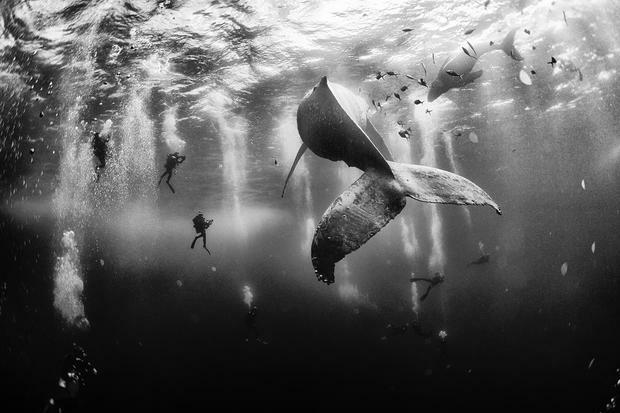 The winning photo, which captures divers swimming near a humpback whale near Roca Partida, an island off the western coast of Mexico, was taken by Anuar Patjane Floriuk of Tehuacán, Puebla, Mexico. “The photo wasn’t planned,” Floriuk says. “I was taking photos near the head of the whale, and all of a sudden she began to swim toward the rest of the diving team. 'Whale Whisperer' placed first out of 17,000 entries. Faisal Azim of Bangladesh, placed second for his photo 'Gravel Workmen', while Ahmed Al Toqi of Muscat, Oman, placed third for 'Camel Ardah'. See more on the Traveler Photo Contest website.